We know planning a destination wedding can be overwhelming and a tad stressful at times. It's hard to know who to contact or where to go for for a service that suits your needs and requirements. We often get asked for recommendations of great hair stylists, places to tan etc. Check out our recommendations below for great experiences and get aways. I.A.M has had the pleasure of working with these teams or experiencing these services personally. Contact us for more information. Victoria from Boho Bridal Hair is an absolute master of her craft. Perfecting a hair style that you desire is what she does best. Whether you'd prefer an elaborate up do or soft curls, she will advise and talk you through the best possible options for your hair. Vic will note every detail from what you are wearing, the shape of your face, through to the style of your wedding, to create your own unique and beautiful hair style. Boho Bridal Hair is inspired by non conformity, creativity and alternativism. Available for weddings, functions and events. I.A.M has had the privilege of working with this talented lady. She has been trained by masters of the industry and her eye for detail is superb. For more info on Boho Bridal Hair, please click below. For a really down to earth and super friendly experience, you can't go wrong with the girls at The Wax Room. As well as being a loyal client ourselves, I.A.M has recommended many brides to these guys for all your waxing, tanning and tinting needs. The girls are great at creating a relaxing atmosphere as well offering a highly professional and memorable experience. 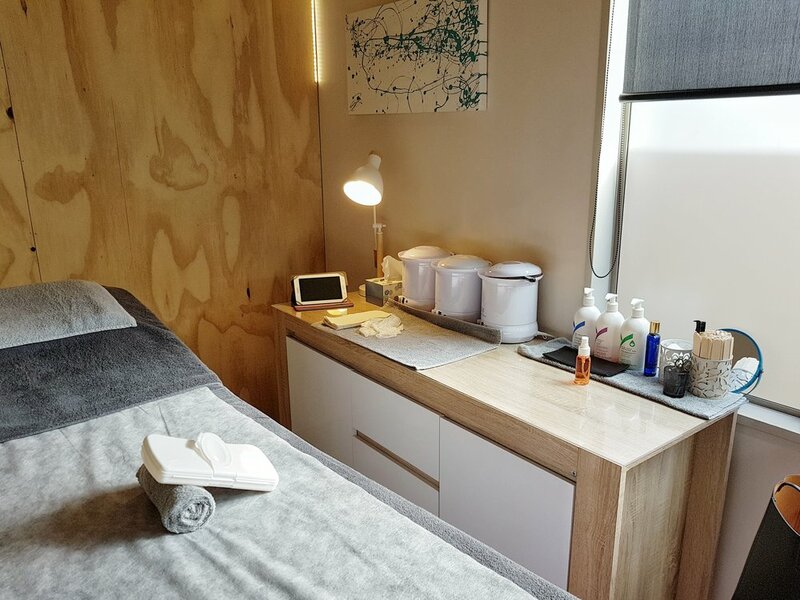 Situated in the heart of Queenstown, The Wax Room is the perfect place to pamper yourself in preparation for you big day or Queenstown event. Resting on an acre of private gardens in Ben Lomond, the Alpine Retreat is the perfect get away for couples, or anybody, looking to escape everyday life into peace and tranquility. Over looking Lake Wakatipu with a stunning mountain backdrop, you can sit with a glass of champagne and relax in the outdoor spa pool. Simone and Gavin are the lovely couple that will be there to make your experience an unforgettable one. Whether you'd prefer to dine in or out, you're only a ten minute drive from Queenstown. The beauty of this place is, you will feel like you're in a world of your own yet you are a short drive from the bars and exciting activities that Queenstown has to offer. For more info on The Alpine Retreat, please click below.